My research focuses on looking at multi-modal communication of scientific and technical information for teaching and learning, and the design and evaluation of innovative uses of computing technologies in STEM instructional settings. The work I do is primarily multidisciplinary, including the use of intelligent tutors to support science learning in classrooms, and basic research in the how instructional technologies (including game-based learning environments) shape student engagement and learning. Since the integration of these technology tools are essential for their effective use, research is also being pursued at large scales, looking at how specific technologies influence teaching and learning at the classroom and school level and how schools and teachers could be supported to change practice in order to maximize the potential of these new technologies. 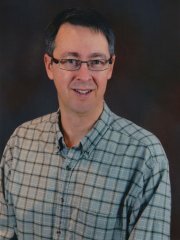 Recent projects include collaborations with Computer Science colleagues on personalized learning systems utilizing AI technologies and the integration of computational thinking practices into K-16 STEM instruction. For the past five years, he has led a university-wide project providing capacity-building support to STEM outreach initiatives.